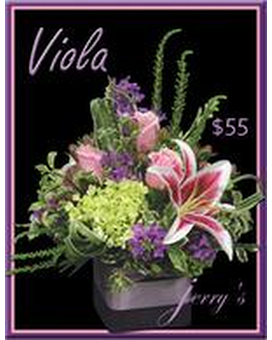 If you like purple you'll like Viola. We start with a deep purple cubic vase, and then load it with fresh cut flowers, many of them in shades of violet and purple. A very royal looking arrangement.